It seems strange to have a Layton game that doesn’t feature the series’ titular protagonist and his beloved sidekick. 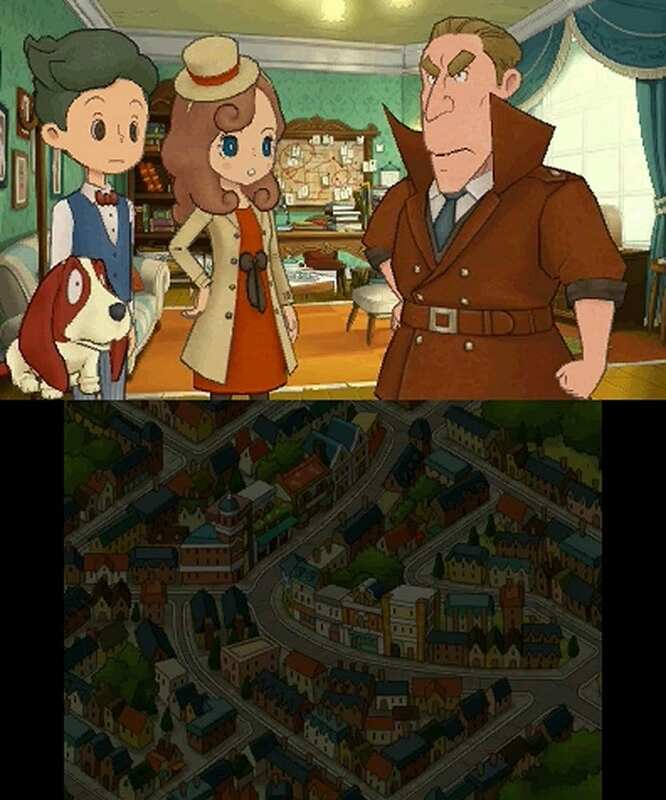 After all these years, you would have thought the series would simply die out after the adventures of Professor Layton came to their conclusion, but that didn’t stop it. Layton’s Mystery Journey introduces a host of new characters and different styles to create a satisfying continuation to the Layton series. 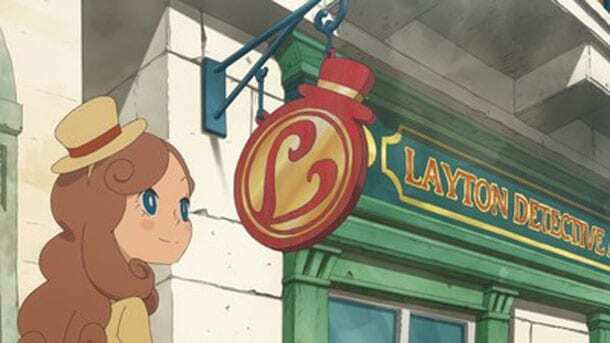 Layton’s Mystery Journey follows Katrielle Layton, the daughter of Professor Layton, as she starts her own detective agency and sets out to solve the mysteries that crop up around London. Joining her is her assistant Ernest, who comes across more as a lovelorn stalker, only around due to his feelings, and Sherl, an amnesiac talking dog who assists Katrielle on cases while trying to uncover the mystery of his own unique ability. As strange as it is not seeing the characters we came to know so well, it doesn’t impact the experience. Each of the central characters are brilliant, they quickly allow you to forget about the prior adventures as you to deal with their quirky personalities and hilarious stories. The Professor Layton series certainly had some entertaining dialogue, but it rarely made you laugh as much as this game did. Sherl’s often sarcastic comments were fun, and Katrielle’s air-headed personality, simply driven by her stomach and sheer dumb luck, was nothing but charming. You can’t help but anticipate the next conversation thanks to character reactions and the excellent dialogue. 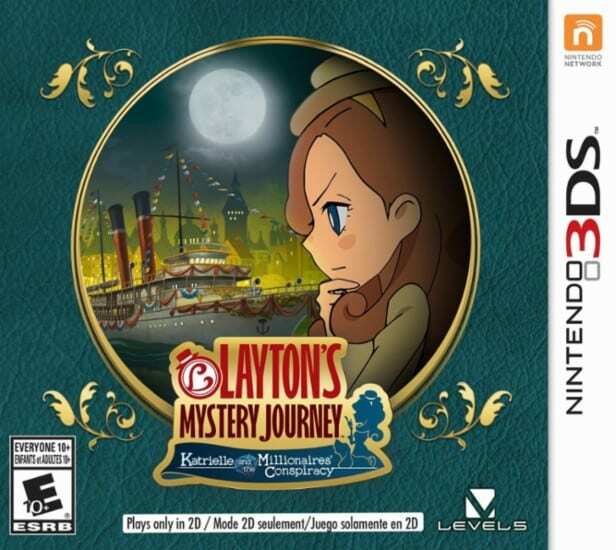 Story wise, Layton’s Mystery Journey takes a much different approach to the original series. Rather than focusing on an overarching narrative, that was as convoluted as it was entertaining, this game focuses its stories on a case basis. Each case brings a new event to take part in as you take Katrielle and her team across London to help the cities’ elite with their problems. This approach allows the game to deliver much more interesting stories then before, each moment is like a vignette that’s over pretty quickly, but the story is well told and exciting from start to finish. One moment you are investigating a missing arm from one of the clocks on Big Ben, while in another, you are investigating ghosts for a lonely woman, and another you are discovering what happened to a solid gold statue. Each mystery is well handled with mostly believable plots that are fun to attempt to solve yourself ahead of the game; some of these do leave you scratching your head for some time, while others you can work out in seconds. This never stops the story being fun to go through as you find information for the next big plot twist. That being said, there is a problem with the mysteries themselves, they are fun to play through, but they offer little agency for the player. You are lead to feel more like a viewer on this mystery journey. While having no control over the mystery, you can search the screens to find puzzles, hint coins, and even interact with people to start a conversation. It’s fine gathering clues and finding the key information alongside Katrielle, but it is disappointing how little we actually matter in making the results. It would have been nice if the game allowed us to find all the clues, but then quiz us to discover the truth, or force us to construct an image of the events to find the truth, something akin to a Sherlock Holmes game. There are reasons why the developers didn’t do this, perhaps to further emphasize key cutscenes and moments as huge reveals, and there is no doubting their grandeur. Even so, this should be with the players’ assistance akin to key moments in the Professor Layton series where you are asked to look over what you learnt and figure out the mystery of the moment. This omission seems short sighted as a means of making the game more accessible, although better detective elements would have helped. The other element where Layton’s Mystery Journey falters is in its puzzle design. This is probably the worst puzzle design the series has had to date, even beating out many of the underwhelming puzzles from Curious Village. Many are simply too easy, even around the mid-game, and can be completed with a simple guess. There are even many with no chance at failure, so you can mess around for the entirety of the puzzle. Take for instance one puzzle involving a giant robot: you are asked to find the place where it can be shut down, but even if you’re wrong, you can just press another spot. This isn’t true for all puzzles, as there are some devious ones and even some clever ones, but these are still few and far between, and don’t exhibit the quality seen in the rest of the series. Furthermore, there are some with solutions that don’t seem to make sense, and you need extreme amounts of luck to find the solution. They are passable at best, which isn’t good for a series of this caliber because it has done so much better. Outside of the main game, the side activities persist. This time around, we have the Ideal Meal game, a challenge where you need to consider what the guests in your restaurant would like the most. This game requires careful consideration and analysis, but is satisfying when you succeed with a well thought-out meal. Passers Buy has you running a jewelry shop where you must place items customers want and attempt to lead them to pick up all items that you have in stock. The final minigame, Hound in the Pound, is a challenge of getting your dog to the finish line while raising and lowering platforms that are in the way. This particular game wasn’t that satisfying. Ignoring the omission of an idea that would have served the game well, and the abysmal puzzle design, Layton’s Mystery Journey rests on the shoulders of its protagonist and additional characters, and, through that, succeeds. Katrielle is a brilliant character who was thrilling to watch and play through the many stories alongside; it made each turn all the more satisfying. You should be excited to see where Level-5 takes Katrielle next, as future stories with this character are sure to be just as fun.